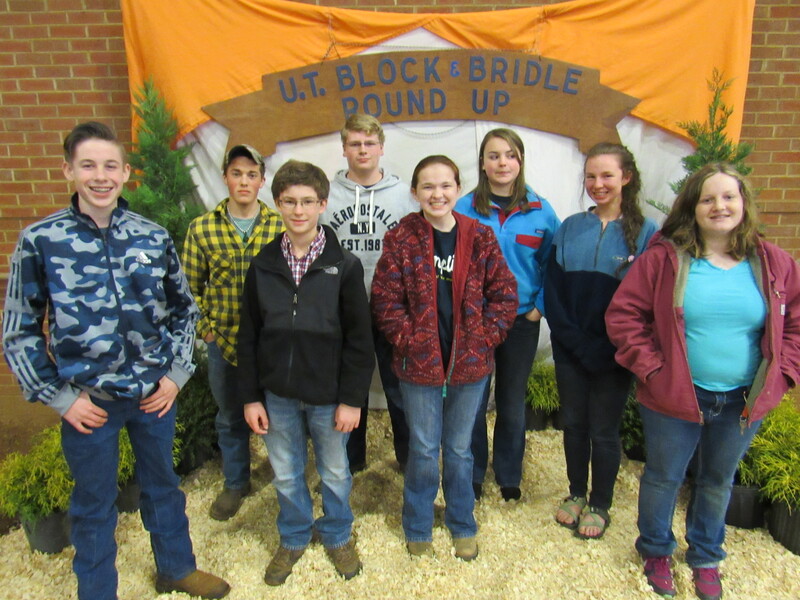 Block and Bridle, one of the University of Tennessee at Knoxville’s oldest clubs held it’s 77th annual “Round Up” at Brehm Hall on the agricultural campus recently. The three day event includes collegiate showmanship competitions, an alumni banquet, judging clinics for meats, dairy and livestock and a judging competition for youth grades in grades 4th through 12th. Over 258 4-H and FFA students participated in the Saturday judging activities. Representing Bradley County was Wesley Hannah, Ethan Frazier, Emily Carey, Kaylee Bandy, Jordan Starnes, Ruth Taylor, Dustin Barnette and Cole Ledford. Bradley Central FFA’s team consisting of Wesley Hannah, Emily Carey and Ethan Frazier finished third. Ethan Frazier (4th) and Kaylee Bandy (5th) were both recognized as being in the top five individuals in the contest. The next event for this group of competitors will be the East Tennessee FFA Dairy CDE held in Morristown, TN on April 14th.